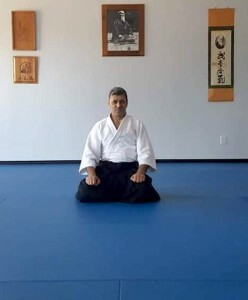 Beniamin Vardanyan has been instructing Aikido trainings since 1990 in the Moscow branch of AIKAKAI (Hombu Dojo, Tokyo) under the guidance of Kachan Sensei, in Lomonosov Moscow State University. After receiving a PhD degree in Physics and Mathematics in 1996, he returned to Armenia to devote himself to the development of Aikido. He has since conducted Aikido trainings in several regions of Armenia. He has successfully organized the first international Aikido seminars in Armenia under the guidance of Aikikai Hombo Dojo instructors: T. Kuribayashi Shihan (7 dan), Yokota Yoshiaki (7 dan), Kachan Sensei (6 dan) and other members of official delegation from Aikikai Hombu Dojo. In 1998, Benjamin became the founding member and was elected the president of the Armenian Association of Aikido in Armenia. He has trained more than 600 hundred students since 1996 and, of these, 21 have received black belts from 4th to 1st dan degrees. Ben and his family moved to the USA in 2012, where he continued his Aikido training. He participated in several Aikido seminars headed by Yamada Shihan and Hagihara Shihan. Ben joined Central Island Aikido in 2017, where he began his T’ai Chi training under the guidance of Rich Morrison. 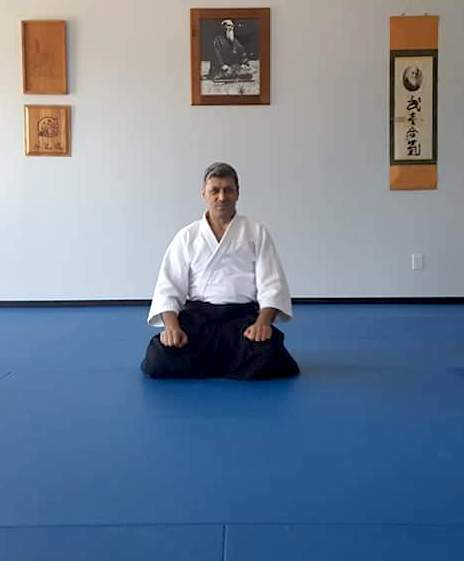 Beniamin Vardanyan the president of Armenian Association of Aikido starts Aikido Martial Art trainings since 1990 in Moscow branch of AIKAKAI (Hombu Dojo, Tokyo), under the guidance of Kachan Sensei, in Moscow State University. In 2014 on October 17-19 conducted aikido seminars in Yerevan. In 1996 as Armenia Regional Director conducted aikido martial art trainings in several regions in Armenia. Established Armenian Regional Aikido Center, and have more trained more than 600 hundred students since 1996 and 21 received black belts from 3 rd to shodan degree. Conducted special aikido trainings for kids and teenagers. Conducted special aikido trainings for GOLD’S-GYM Armenia members. In 2000, Ben organized the first International Aikido Seminar in Yerevan, Armenia under the guidance T.Kuirbayashi Sensei 7 Dan, Tokyo. In 2004 he organized International Aikido Seminars in Yerevan, Armenia under the guidance of official AIKIKAI delegation headed by Y.Yokota Shihan 7 dan, T.Kuirbayashi Sensei 7 dan, Tokyo. He has organized international seminars under the guidance of Kachan Sensei more than 10 times since 1998 in Yerevan. Please visit www.aikido.am for more details about the Armenian Association of Aikido.